I wasn’t much fun to live with while in this mindset. I still find myself sliding back into it every once in a while. My mother-in-law made for my husband and me a HUGE container of fried rice. I LOVE my mother-in-law’s cooking, especially her fried rice. I will put my Chinese mother-in-law up against your Italian or Jewish mom any day when it comes to over-feeding diet-unfriendly food. I stood in my kitchen this morning, munching down some ham to go with the fried rice, and telling myself why the ham isn’t good for me, and why I shouldn’t make a steady diet of this stuff. I had one of those a-ha moments of the insanity of this practice. If I picked the food out of the fridge, and put it into my mouth, why shouldn’t I enjoy the choice, instead of spending the entire time I’m eating it reminding myself why it’s not a good idea? I can’t really tell you what the ham tasted like, other than it seemed a little salty. I wondered how much I miss enjoying since I’m criticizing myself and telling myself I really shouldn’t do what I chose to do. My challenge to all the readers out there is to see how we can take this on, AND support each other as we make this shift. 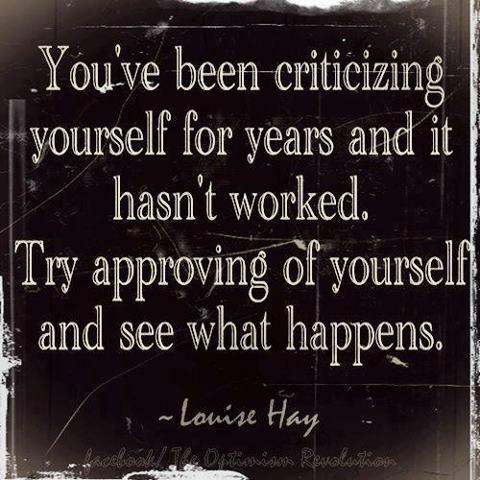 What would happen if we approved of ourselves AND approved of each other as we continue on our journeys? How much change could we create, and how much easier would it be if we all supported each other, and approved of the steps we are taking? Let’s take that on! This entry was posted in Home Gym, Motivation & Goal Setting and tagged healthy eating, healthy-living, inspiration, mental-health, motivation, persistence, presence, support. Bookmark the permalink.